Also, WiFi and LAN cables are available for your laptops (free). 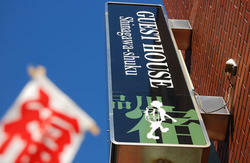 Come and meet us at Asakusa. 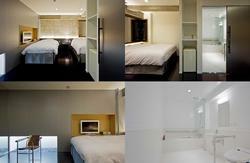 This is more than just a place to sleep. It runs every 40 minutes and takes you to Asakusa directly. There are two routes ('Narita Sky Access Line' or 'Keisei Main Line') on Keisei Line. When you purchase a ticket, please select the route via 'Narita Sky Access'. A through ticket to Asakusa is available at Narita Airport Station. Please dont take Keisei Skyliner or JR Narita Express. * If you catch the access express for Keisei Ueno in the evening, please change at Aoto Station for Asakusa. Take a train which comes to the other side of the same platform. Get off at Asakusa station. *From Haneda Airport, please catch an airport express(???????) or an airport limited express(???????). *Please take trains that bound for Imba-Nihonidai(?????? ), Inzai-Makinohara(????? ), Narita Airport(???? ), Keisei Narita(???? ), Keisei-Takasago(???? ), and Aoto(??). * the trains bound for other stations do not go to Asakusa. - A ticket to Asakusa is available at Haneda Airport and the fare is 640Yen. * To purchase a ticket at a ticket machine, please press Toei Line first, then press 640 Yen. 1. Take the exit A4 at Asakusa station and turn right and turn left on the first street(Kaminarimon-dori street). 2. Keep walking (approx 10 min) on Kaminarimon-dori street unitl you get to Kokusai-dori street. 3. Turn right on Kokusai-dori street and walk strgiht. 4. Passing the Keihan Hotel on your right, you will see a street on your right. Turn right onto that street. 5. Walk down towards a Hanayashiki gift shop. You will pass a Sunshine Pachinko building (pinball parlor) on your left. 6. When you see the Hanayashiki gift shop, turn left onto a narrow street. 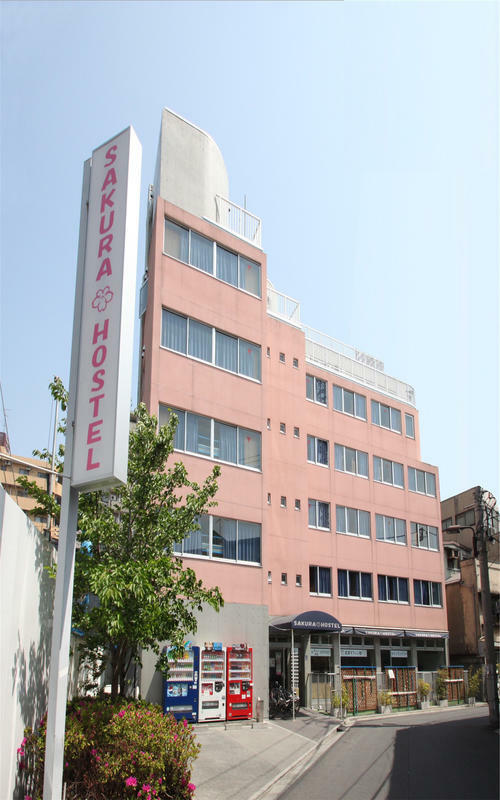 Keep walking down the narrow street until you see Sakura Hostel Asakusa on your left its the large pink building! Take Narita Express from the Airport. Get off at JR Tokyo station. Transfer to Tsukuba Express line, Akihabara station(5min walk from JR Akihabara station). 1. Walk to the A1 exit (elevator is available), turn right at the A1 exit on ground level. 2. Walk a few minutes, there is a traffic light, you can see Asakusa View hotel and life supermarket on your left side and small car parking on your side, turn right on the traffic light into the narrow street. 3. When you reach the end of the street, turn left. Our hostel is the large pink building.